Pinching a bit of Swarm’s cool, Google has quietly launched Who’s Down for iOS and Android. 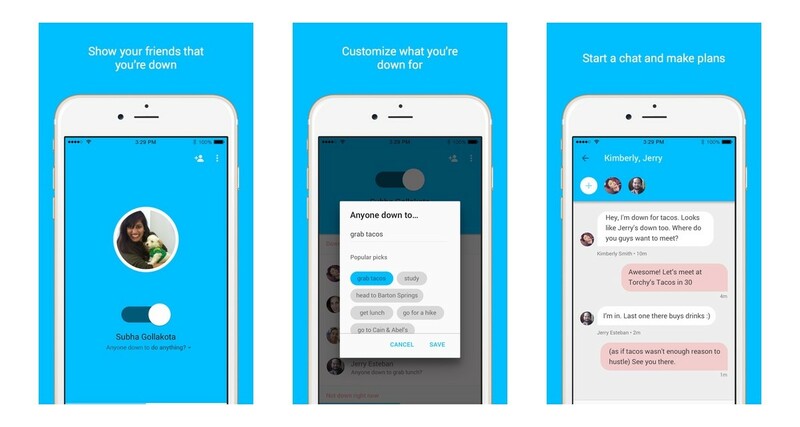 The app lets you know which of your pals is available to hang out or… you know. A simple slider lets you set your availability, which defaults to a three-hour timeframe. If your friends are also available (ne, down), they can chat you up to set plans. You can also define just what you’re down for. A movie, coffee or… you know. This is a take on an existing feature of Swarm Google has sniped, and a clever way to seed another social app into the wild. It’s currently invitation-only, so you won’t get any invitations to… you know… any time soon. Oh, you don’t know? We’re talking about getting tacos. What did you think we were alluding to?